The moment you reach alibag, if you are travelling by your own vehicle, you need not enter the main ALIBAG city and head straight towards Murud/Revdanda road (Anyone can direct you to the road which is a left from the main entrance road to alibag). If you are travelling by a bus (ST), you will be getting down at the main ALIBAG BUS DEPOT. From here you can hire a GARUDA (Tumtum) AUTORICKSHAW (It can accommodate upto 10 ppl) or if a small family, can hire a simple autorickshaw and ask them to take you to NAGAON HIGH SCHOOL. If you are travelling by ST(bus) from mumbai/pune which ends at Murud/Revdanda, you will need to get down at the NAGAON HIGH SCHOOL STOP. State transport buses reaching Alibag are aplenty. 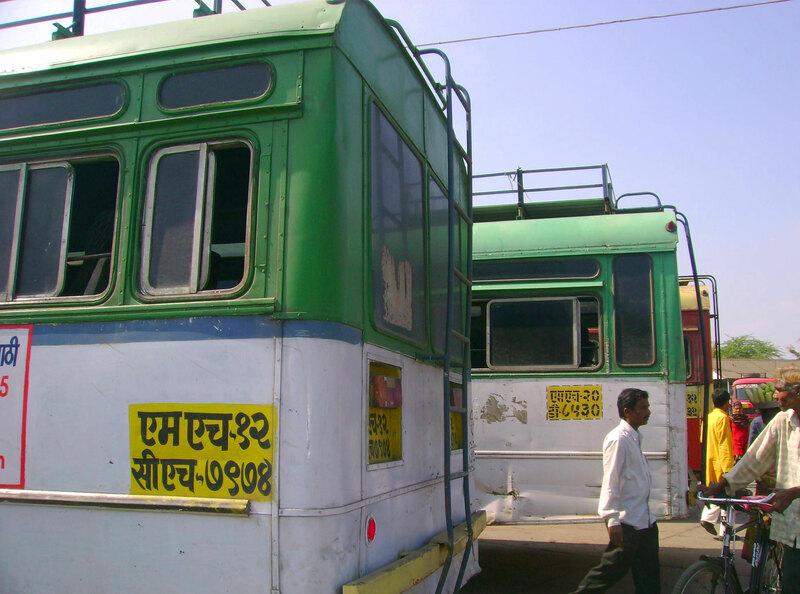 Some 35-40 buses ply to and from Mumbai. Alibag is also linked by state transport bus to destinations like Thane, Pune, Borivali, Nasik, Kolhapur, Miraj, Jalgaon, Sholapur etc. The state transport bus depot provides fairly efficient, in-time bus services. Mumbai 108 k.m. Thane 96k.m. Borivali 125 k.m. Dombivali 96 k.m. Panvel 60 k.m. Kalyan 108 k.m. Pune 138 k.m. Nashik 245 k.m. Pen 28 k.m. Shirdi 345 k.m. Pali 60 k.m. Murud 49k.m. You can also reach Alibag by Sea. Ferry wharf at 'Bhaucha Dhakka' in Mumbai is where launch service to Revas port (23 km from Alibag) is available from 06.00A.M to 06.00P.M. The journey takes 1� hours. The frequency is almost every hour, both ways. The timetable changes slightly to suit high tide and low tide timings, though there is advance announcement of timetable for the coming week. Reservation facility is also available. The journey is fairly comfortable and is a unique experience. Each launch carries 100-125 passengers. Tea, cold drinks, snacks are provided on board and also film music is played! As soon as the ship sets sail, it's a nice sight to watch the Mumbai shore line becoming distant and Uran shore line to the left and Revas shore line to the right drawing nearer. At Rewas port, state transport bus starting point is only a few steps away. The bus takes you to Alibag in about 45 minutes. The other sea rout to Alibag is from Gateway of India in Mumbai to Mandwa port, 19 km off Alibag. Private catamaran services run by PNP, Maldar, Ajanta and launch services by Ajanta, Al-Siddiq take you to Mandwa port in 50 to 60 minutes. 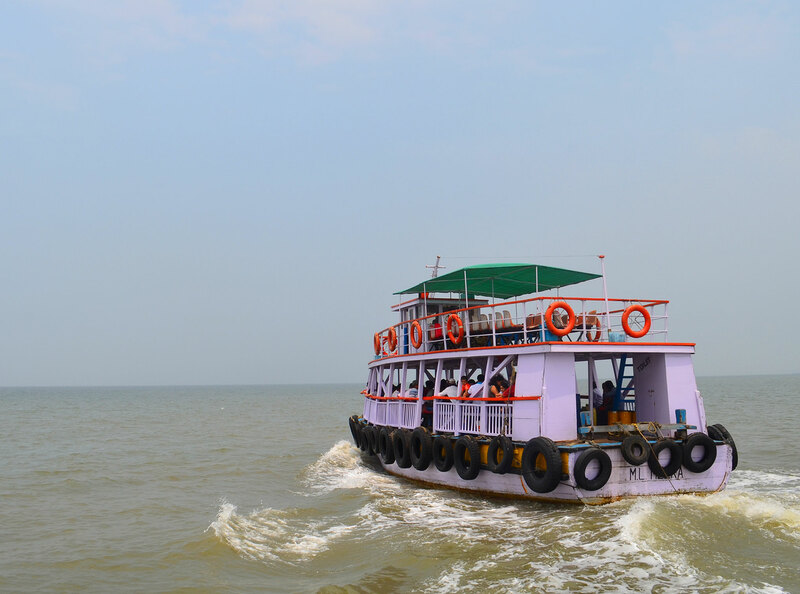 Your fare includes bus service from Mandwa to Alibag, which takes another 30 minutes or so. You can avail these services except in rainy season.